We really did have the perfect storm for our first outdoor competition this weekend. Quite literally, as it was raining non stop the whole morning. 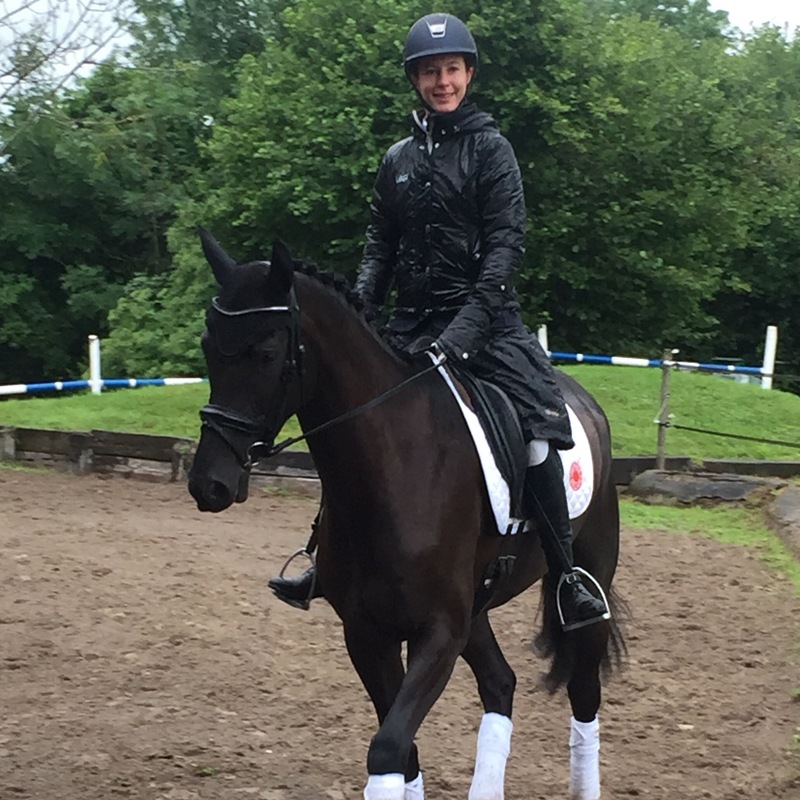 As many a dressage rider will do, I worried incessantly about looking absolutely perfect when going into the show arena and the constant rain really did not helpis to feel like we had an elegant and put together appearance. Luckily I was wearing my Uhip sports rain jacket and skirt while getting Clemmie ready and during the warm up. Both items are not only great looking but also have a multitude of technical features which makes them the absolute rainy day outdoor must have! Let’s start with the jacket: lightweight, yet warm enough and perfectly rainproof with zip and button pockets, as well as a zip phone pocket on the inside. It also has the signature Uhip adjustable sleeve which you can wear up and out of the way or down to keep your hands warm and dry while riding. You can remove the hood of you want, but I sure was happy to have it on while getting things done in the rain! The skirt is probably the best thing since sliced bread. Functional and fabulous I would say. I wore it while getting Clemmie prepped and loaded and benefited from the taped zip pockets for the elastics and scissors while braiding. 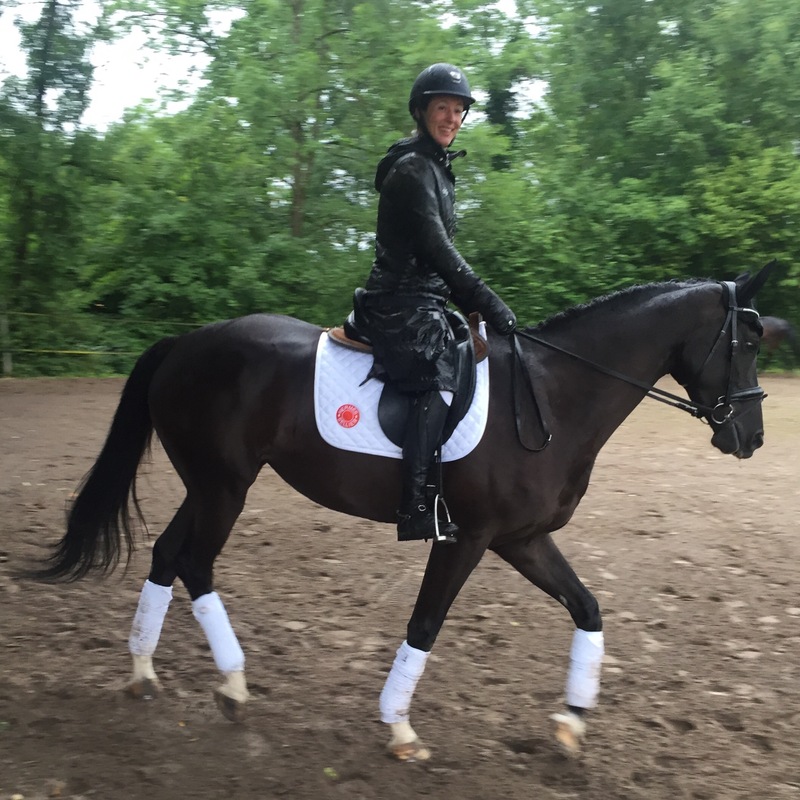 While warming up, I zipped it open in the front and back, attached the flaps to my legs and remained perfectly comfortable and dry during my rainy ride! Once it was time to go into the ring, I just zipped it open completely, popped open the leg straps and we were ready to go! Both items are a true must have for any outdoor rider, be it for your competition or just for your every day training outdoors. The jacket is available on the Uhip website for 152 Euro and the rain skirt is only 83 Euro! Send me an email anytime!